START Bay encompasses the great sweep of sea between the Dart Estuary in the north and the jagged headland of the imposing Start Point in the south. One of the most beautiful strips of coastline in the country backs the east-facing bay, boasting fantastic views, memorable beaches and the spectacular freshwater Slapton Ley. The South West Coast Path covers much of the coastline, taking in from south to north, Hallsands, Beesands, Torcross, Slapton Sands, Strete, Blackpool Sands and Stoke Fleming. It’s no surprise the magnificent coastline overlooking Start Bay has been designated an Area of Outstanding Natural Beauty and with its blue-green seas, exotic vegetation, steep cliffs and sandy coves, it is classic family holiday territory. Many visitors know about Start Bay’s stunning coastline of high sweeping cliffs interspaced with long beaches and ancient fishing villages, now awash with colour and serving the needs of a modern society, with cafes, shops and old-fashioned country pubs. Some also discover its rich history which includes secret wartime exercises, villages lost to the sea and tales of people who lived there. Perhaps less widely known are the bay’s fantastically rich fishing grounds which include the sandy Skerries Banks. The Skerries are renowned for their abundance of plaice, blonde ray and other flatfish. One of the biggest blonde rays ever caught off British waters was caught on the Skerries Banks in April 2006, weighing in at a whopping 39lbs 10ozs. Start Point is one of the most exposed peninsulas on the English coast, running sharply almost a mile into the sea on the south side of Start Bay and its gullies are awash with bass and wrasse. Early mornings or evenings are the best times to fish here for bass. Start Bay is also littered with wartime wrecks which shelter a myriad of different species. Wreck fishing is the most spectacular branch of sea fishing and it provides anglers with the opportunity to consistently catch specimen fish. While many different species are found on wrecks, the sport is dominated by conger, ling, pollack and bream. The Skerries Banks provide excellent fishing and it is possible to catch good flatfish, including the tasty plaice, there throughout the year. The majority of plaice fishing is done from either a charter or private boat while freely drifting on the tide along the edges of the banks where the shingle falls off into deeper water. The plaice lie on the shingle just behind the edge of the banks, waiting for small food items to be wafted into their vicinity by the tidal flow. 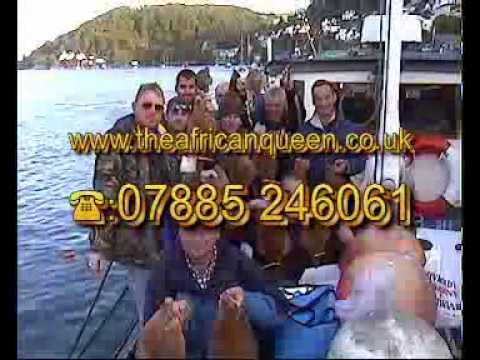 Fishing enthusiasts can expect great sport from charter boats, of which there are an excellent number plying out of Dartmouth, or their own craft, with catches as diverse as conger, pollack, cod, ling, pout and bream from wrecks and bass, plaice, dab, conger, bull huss, wrasse and bream, plus blonde, small eyed, spotted and thornback ray from inshore marks. If you have your own small boat but little knowledge of these waters, chose a calm day and follow the majority of other anglers until you know where you are going and the location of the best marks. Electronic navigation aids are recommended to hit the best spots and a GPS chart plotter and a good fish finder will make the task much simpler. Fantastic fishing can also be had from the bay’s array of beaches, especially Slapton, Hallsands and Beesands which are known to throw up anything over the winter, from small pouting, dogfish and whiting to huge 20lb-plus cod. Daytime anglers head to these beaches to hook dabs, plaice, mackerel, garfish and bass, while their nighttime fishermen and women expectantly angle for dogfish, pout, whiting and bass. All these beaches are east facing and will fish exceptionally well after an easterly blow. As a general rule of thumb, during daylight the beaches usually fishes best on the first two hours of flood but during the night will fish best two hours over the top of high water. There are three main areas to fish on Slapton Sands. At the Strete Gate end, dab, whiting and plaice are the main target species although the area does throw up the odd small cod. Further on along the road running parallel to the beach is the war memorial car park. This is the deepest part of the beach and as a general rule is where less fish, but bigger ones are caught. At the Torcross end of the beach the water is of a medium depth compared to other parts and it is here, in an area of broken ground near a small cliff, that can throw up anything from dogfish, whiting, pouting, plaice, dab and the odd codling. For decent plaice, head to the north end of Beesands Beach, opposite the small football pitch. Fish the flood tide here and during the right conditions, a myriad of species can be caught especially plaice and dab. The deeper end of the beach, opposite the Cricket Inn, often throws up better fish after dark. Hallsands is the smallest of the three beaches. Although not the place for dab, it is well known for plaice and early season bass.